Liverpool Shopping Park’s visitor count hit 135,158 in January 2019 – a 50,439 increase on January 2018. 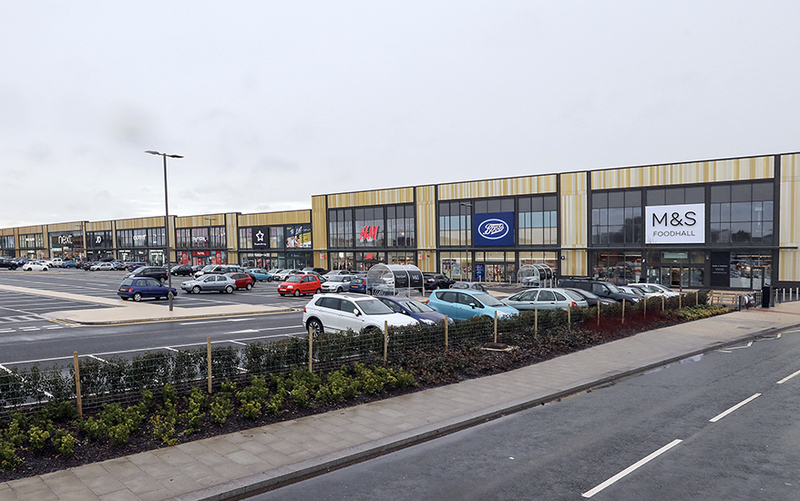 The latest figures also show that the average dwell time at Liverpool Shopping Park is 98 minutes and has been increasing steadily month on month since Spring last year. News of Liverpool Shopping Park’s strong performance comes as The Derwent Group prepares to start construction work for phase two, which will deliver in excess of 145,000 sq ft of additional retail and leisure space at the Edge Lane site. The Derwent Group is investing £30m in this next phase, which will include a leisure block comprising a six-screen cinema, a new state of the art Hollywood Bowl, as well as a gym and five restaurant units on the ground floor. A separate building will accommodate a 60,000 sq ft anchor retail store and a further 16 smaller retail units. Hugo Clark, Group Property Managing Director at The Derwent Group said: “In light of the challenges facing the retail sector nationally, it is hugely encouraging that Liverpool Shopping Park is performing so well, not only in terms of visitor numbers and dwell time, but in relation to the strong local trading figures our retailers are reporting too. The first phase of Liverpool Shopping Park opened in October 2017 and includes high profile brands including Next, M&S Food Hall, River Island, H&M, Chiquito, TK Maxx and Smyths Toys. Construction of phase two will start in Summer 2019 and is expected to be complete by Autumn 2020. McMullen Wilson and CSP are the letting agents. AEW are the architects.